What started as an experiment among six friends in Berlin trying to better organize their lives (hence the company name) has become a productivity tool with 8 million users worldwide and a company backed by one of Silicon Valley’s most acclaimed VC firms. 6Wunderkinder made headlines last November when it announced a $19 million Series B funding round led by Sequoia Capital, a notable VC firm that has invested in the likes of Google, Apple, Airbnb and Zappos. The deal was big (and good) news for Berlin’s startup scene because it was Sequoia’s first foray into the German entrepreneurial landscape. Since then, the startup has remained uncharacteristically quiet… until now, that is. In the last couple of months, 6Wunderkinder has been working on an updated version of its task management tool and to-do list app – behold Wunderlist 3. With its latest release, we spoke to Reber about the company’s roller-coaster journey, why Berlin startups need to be more globally relevant and the low-down on Wunderlist 3. If you read an article about Berlin as an emerging startup hub, you’ll likely see 6Wunderkinder alongside SoundCloud and ResearchGate named as some of the companies pushing the German capital’s startup scene to the forefront. Even though the company seems to be basking in a glow of international recognition at the moment, it hasn’t always been smooth sailing. 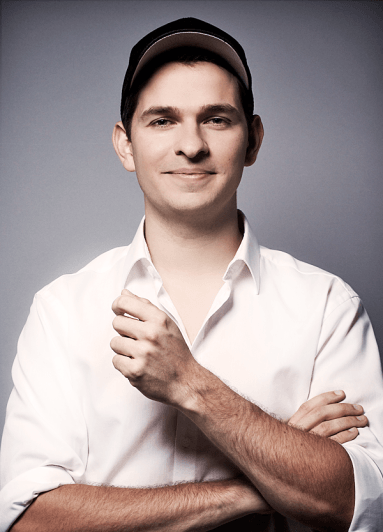 In 2012, 6Wunderkinder scrapped its project management app Wunderkit a few months after it had launched in beta, which some saw as a blow to the much-hyped startup. “I mean, you can call us lucky. But also, we’ve been incredibly thoughtful in making the next step,” he added. For a while, the company’s business model was a big question mark. 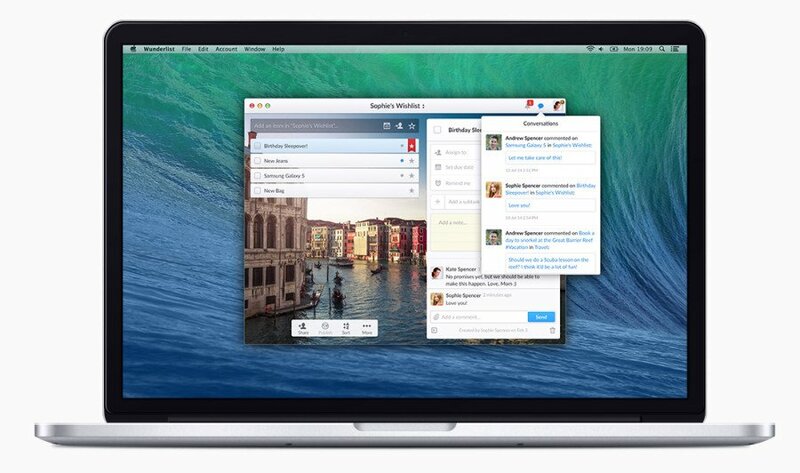 However, last April, Wunderlist Pro was rolled out out as a planned route to monetization. At the price of $4.99 per month, going Pro means additional features – such as the ability to delegate tasks and start conversations – mostly in the direction of collaborative task management. There’s also Wunderlist for Business, a service that is vaguely described but promises to “transform your business with smart team collaboration features”. Price per month depends on team size – for instance, a five-member team would cost 22.45 euros per month. In an interesting turn of events at the end of last year, news broke that 6Wunderkinder acquired fellow Berlin messaging startup Moped, which was rumoured to be struggling and remained eerily low-key. A spokesperson from 6Wunderkinder said it was a strictly a technology acquisition. Moped officially shut down on 31 December. As somewhat of a poster-child of the Berlin startup scene, we asked Reber how the community has changed since 6Wunderkinder’s founding in 2010 and where he sees it going in the coming years. For those who didn’t following the unravellings of the three aforementioned (and über-hyped) companies, this is what happened: in short, Gidsy was acquired by Berlin-based travel experience platform GetYourGuide, opinion app Amen was taken over by Berlin social music streaming startup Tape.tv and e-book reading app Readmill was acquired by Dropbox. Now, Reber sees another wave of new startups and businesses cropping up in the German capital. “I think what’s happening is that the startup industry is becoming far more professional. That’s really good, of course, but still the massive businesses are kind of missing,” he said. Despite 6Wunderkinder’s claim of over 60 improvements with Wunderlist 3 in its press release, Reber told us that, really, it’s more like “hundreds of improvements”. That sounds slightly overwhelming, but improvements don’t necessarily equate to features and, at its core, he said, the latest version has been built to make the application faster, more light-weight and stable. That should be good news for users, especially since many reported syncing issues last year. Along with the new design, one of the mainstays of Wunderlist 3 is its ‘Public Lists’ feature, which the startup sees as a new way of broadening its user base and exploring a larger market. Instead of only focusing on to-dos, it allows people to share lists, such as “Favourite restaurants in Krakow” or “10 books to read by Hermann Hesse”. Hence the app’s new tagline: “Home of the world’s lists”. But, of course, Wunderlist – which is free to use – isn’t the only task management and to-do app out there. It’s a pretty crowded space with rivals such as Any.do (free), Todoist (free) and Clear ($4.99 for iPhone, iPad and iPod touch and $9.99 for Mac) all offering similar services and focusing on a design-first approach. “We always aim for the most elegant and delightful product experience. 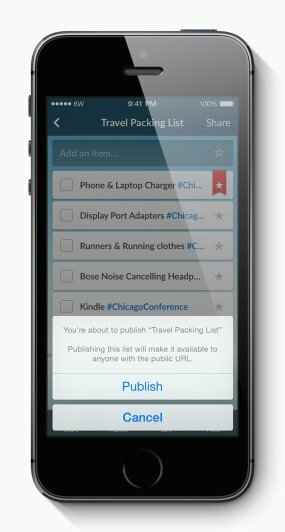 You should have no difficulties, be able to use one list on all your devices and synchronize seamlessly. There are a few things that are different compared to others, but it’s hard to say that there’s one thing that makes it better. At the moment, Wunderlist 3 is available in 32 languages and available for a slew of platforms and devices, including iPhone, iPad, Mac, Android, Kindle Fire, Chrome OS and the Web. Additionally, Wunderlist for Windows 8 and Windows Phone 8 are slated to be released soon. Though there won’t be a Wunderlist 4 for “quite some time”, Reber said, users can expect a number of announcements in the coming months about partnerships and new features. Also, the 68-person team will be focusing on further growing its user base. At the moment, the US is Wunderlist’s largest market in terms of number of users “by far”, but the startup has its eyes set on growing in China and Japan as well. Reber recently visited Tokyo and Beijing in an effort to better understand the market. “It took us a while, but I think we’re really ready now to become a global product,” he concluded.